App Builder Appy Pie: A great Appdea is hard to come by, and the moment you have one, it is natural to be excited about it and get started building on it immediately. But, it is important that you take a step back and give the whole Appdea a rethink. There are literally millions of apps right now on the app stores, what makes you think that your Appdea is unique and that no one ever has thought of it yet! When you finally launch your app in the market, are you absolutely certain that it is going to be well-received by the target users! Do you think that the moment you release your app on the app stores, users would be lining up to install your app on their devices and begin using them immediately? It is impossible to be sure of any of these factors or predict anything at this stage and to think that you are sure to get all this and more, is frankly quite naïve! Now, if you are not really prepared to take that huge a risk and are keen on finding one of the safer routes, then it is a good idea to think about building an MVP or a Minimum Viable Product for your mobile app. This might actually ride up the cost a little high but will also take away the stresses and the ambiguity associated with the process. This will also give you a fair idea about the way it will be received by the target audience. Why develop an MVP at all? A Minimum Viable Product or MVP consists essentially of the most important and minimum features that lets the development team to check the feasibility of the product and for the validation of the idea through the feedback received from the customers and the app usability. It has been ascertained through reliable studies that 74% of the startups fail only because of their premature business strategy. This premature business strategy essentially translates into not launching an MVP before releasing the full-fledged app. Also, 29% of the startups fail because of financial crises of varying kinds. It was in the year 2001 that MVP, as a concept was introduced for the first time. Since then, the concept has grown in popularity as the scope is getting wider and the benefits are getting highlighted. If you are still not completely convinced about getting an MVP and are looking for some more information on this, I am listing out some of the major benefits brought in by building an MVP before releasing an app. By creating an MVP of your mobile app, you are effectively bringing down the risks by a huge factor before you launch the final version of your app. 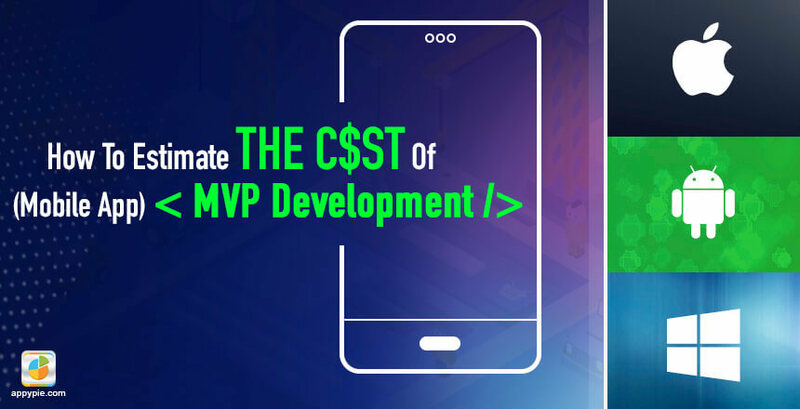 If we were looking to develop an estimate for the cost of creating an MVP for some of the most prominent and widely used mobile apps in the international environment. If, today you were to ask an estimate for developing an MVP of an app like Twitter, it would stand at approximately $10,000, and for the MVP of an app like Facebook you would have to cough up about $15,000. While looking at these figures, you must remember that this is not the cost of developing an entire app, this is just the cost of development for the Minimum Viable Product of a mobile app. When you are trying to estimate the cost of creating the MVP of your mobile app, there are quite a few variables and factors that go into it. Now, many of these factors are quite similar to that of creating a full-fledged app that is ready for launch. As a general practice, the app development companies quote the charges on a ‘per-hour’ basis and the final figure is reached upon by multiplying it with the total number of hours spent on the development of the app. A Minimum Viable Product or an MVP and the cost involved in their development is highly impacted by what type of app you are building, and the complexities involved in your Appdea. This essentially means that if your Appdea has higher levels of complexity, there would definitely be some challenges during the development of an MVP for it as well. Hence, to start with, you must decide which features are key to the functioning and intent of your app. It is these key features that you would want to integrate in the app at the beginning. Let’s say you had an Appdea about building a food delivery app and are planning to build an MVP for it. Now in this MVP you would have to plan for some of the essential aspects for the app like registration process, third-party implementation, payment gateway, database encryption, and a robust admin panel among a few more such features. At this point you must also be able to determine whether and how the app can prove to be useful for the end user. It is important at this stage that the first version of MVP that you plan is simple and has all the basic features and functionalities. 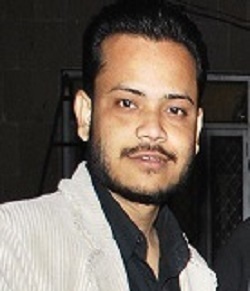 As you launch the MVP and gather information through it to come up with more complex versions later on. Also, the scope or potential of an MVP depends on the particular requirements of the business. The best way to go forward is to work on product development and customer development at the same time. The design costs form a big chunk of the total costs and the MVP design costs are dependent heavily on the difficulty level. This is particularly why it is a good idea to plan for it well in advance. When I say MVP design, I am talking about the User Interface in particular. Remember that the initial design comes with an additional cost. At this stage it is of absolute importance that you keep the whole design as simple as possible, is intuitive and ranks high on the usability scale. This is where you begin preparing for the design process. This part includes conducting a series of meetings with all the team members and coming up with a blueprint of a plan of the whole process. Wireframe of an MVP is the skeletal structure around which the product would be built. This is where a crude layout for all the key aspects of the MVP are prepared. This part of the process can take anywhere between 16 to 20 hours and the costs, (on an average) may be somewhere around $400. The mockup or the prototype is essentially one of the critical steps of the whole MVP design process. A mockup is a great way to present and design the MVP on the basis of your Appdea so that your clients or any decision-making authority that you are presenting to can better understand what you intend to do with the MVP. Adobe Photoshop or Corel Draw are great for the prototyping phase. This part of the process takes about 40 hours on an average which may cost you about $1200 (again this is an average figure). Once you have in front of you a sort of a prototype or a mockup of the MVP, you must move on to thinking about improving the on-page interactions. As you work on this aspect you would be able to engage your users more and retain them for longer! 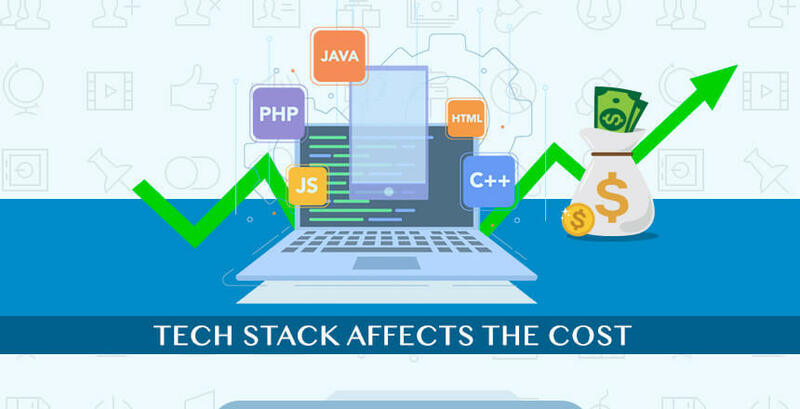 The technology stack that you are going to use for your mobile app MVP development is one of the critical factors when preparing a cost estimate. If you are technically knowledgeable then you probably have an idea what you are going to do here, but if you are not, it is better to take the opinion of someone who has the required knowledge of technology, like maybe your app development team. As a general rule, it is better to choose customizable solutions that are comparatively easy to implement. At this stage, you would have to make the critical decision about going for a native app or a hybrid app. One lucrative option at this point can be opting for a no code DIY platform like Appy Pie where you can build your own app yourself for a fraction of the cast in 3 easy steps! This is an imminent question that is bound to come up whether you are beginning the development of your final version of the mobile app, or the MVP. Each of the scenarios have their own merits and challenges, the answer invariably lies in your budget, scope, and the unique requirement of the project. If you choose to outsource the entire project to an app development company, you are going to benefit from their rich expertise and a proficient team that would be there to assist you through all the stages of the complete process. The downside – it might be really heavy on your pocket! Hiring a freelancer would not really burn a hole in your pocket, but the service quality might not really be of the same level and after the delivery of the project, you might have challenges with maintenance or edits that you might require later on. Timing is of great essence in the world of business and especially so in context of the fast paced and ever evolving business of app development. Deciding the stage of MVP when it should be launched is a critical decision, but you need to get some feedback from the users. This timing gains a lot more significance because the cost is bound to ride up with every day that you delay the launch. Are you willing to release your app MVP just after adding two or three features? If you wait a little longer and launch an MVP that is complete, it might cost you a little more but will give you a product which will give you deeper insights. Creating a Minimum Value Product is of critical importance and can effectively form the foundation of the mobile app that you are planning to build. After you have created a Minimum Viable Product, you would have to release it to the targeted audience to get the required feedback and validate the Appdea to decide whether it is worth proceeding with. 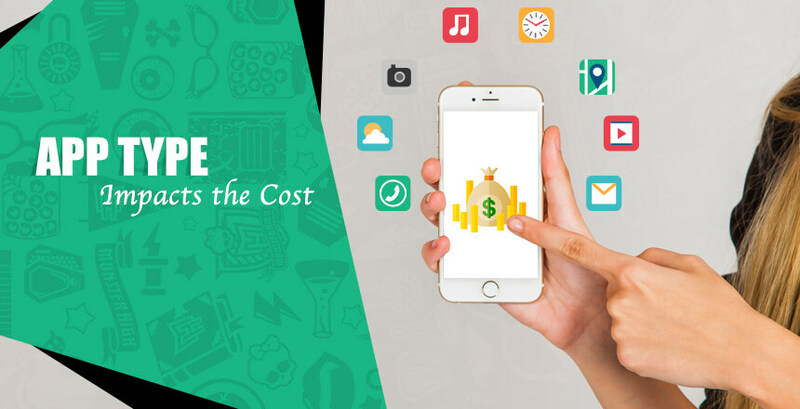 This means when you are planning the budget for your app development process, you would need to factor in the cost of your mobile app MVP development as well. That’s the end of our list, but if you think there is something that we are missing out on, feel free to leave a comment and let us know! We love to hear from our readers! A Minimum Viable Product (MVP) is the smallest version of a new application that has enough features to meet the needs of early users. An MVP not only provides valuable feedback for future product development, it also proves to be beneficial in reducing risks and saving money. Read on to know more about the best practices for MVP Development! A technology stack or Tech Stack is basically a set of elements, including frameworks, languages, and software products, which provide the infrastructure for any web or mobile application. Read on to know more about the Best Technology Stack for Mobile App Development. What are the Best Practices for MVP Development?